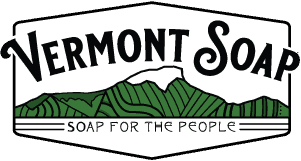 Vermont Soap has been a pioneer in USDA Certified Organic skin care and non-toxic cleaning products for over 25 years. We have the capabilities to handle soap-making projects of all sizes – from startup to nationwide chains. When Larry Plesent established Vermont Soap in 1992 he went looking for organic foaming bases from which to create a line of products to replace detergent based surfactants in his formulations. At the time, these soap bases simply did not exist. So he built a soap factory and went to work. All Vermont Soap bases are certified organic by VOF; Vermont Organic Farmers, a division of NOFA-VT. Vermont Soap will handle all organic certification paperwork for you for $100/sku/yr. We will compliance check your label to USDA, FDA, FTC and CPSC standards for free. Label and logo design services are available. You supply the label and we will do the rest. Vermont Soap also manufactures certified organic botanical extracts. 1 gallon/$200min. We extract into organic oils, glycerin and alcohol. Call for a quote. Average cost is $200/gal. Prices for soap-making supplies are tied to volume. The more you order the lower the price. Lock in a lower price by placing one purchase order with multiple ship dates. Please call us to speak with a highly trained Private Label Specialist about your needs to arrange for price and sample. Soap bases are always unscented. You (or we) add your scent and magic ingredients to create a custom product. 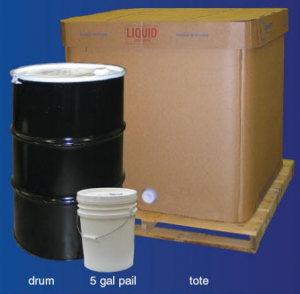 You can buy soap-making supplies in bulk or we can fill for you. Even large volume orders go out the door in two weeks or LESS in most cases. We are the manufacturer and can give you the best pricing on organic bases! We also manufacture to Soil Association and European organic standards. We want to get to know you, your company, personal expectations and goals. Combined with our 25 years of natural and organic expertise, we’ll make sure you’ll get the soap-making supplies and other products best suited to your needs. Please call us to speak with a highly trained Private Label Specialist about your needs to arrange for price and sample.